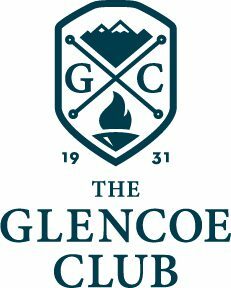 The Glencoe Club is a private, family-oriented sports and social club located in the Elbow Park neighbourhood of Calgary, Alberta. Our facility boasts a full-service food & beverage department as well as eight sport facilities. These facilities include curling, bowling, skating, aquatics, squash, tennis, badminton, a climbing centre, new fitness centre, an indoor playground, and a Pro Shop. If you can be genuinely passionate about our vision to be our members’ second home, providing excellence in all that we do, have a proven track record for creating exceptional experiences through your interactions and are willing to champion our values of respect, wellness, integrity, relationships, caring and innovation we want to hear from you. We are seeking a Junior Graphic Designer to join our Creative Studio and provide The Glencoe Club/The Glencoe Golf & Country Club with a professional image through creative and efficient production of all communication materials. This is a summer position from May to the end of August. Typical hours will be Monday to Friday, 8:30AM-4:30PM. The successful applicant will be required to complete a criminal records background check, and a Respect in the Workplace online certification. The Glencoe Club offers an excellent working environment featuring opportunities for training and development, staff meals, and numerous employee recognition programs. For additional information, please visit www.glencoejobs.org or www.glencoe.org. Currently enrolled in or recent graduate of a diploma program in Communication Arts, Graphic Arts, New Media or related field. Qualified applicants are invited to submit their cover letter and resume to hr@glencoe.org by April 30, 2019.